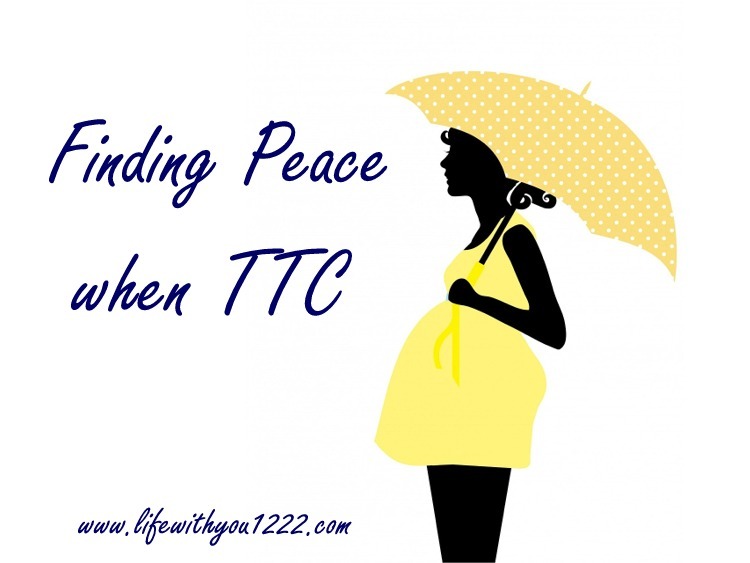 Today a fellow blogger shares about how to find peace when trying to conceive. Martha shares a bit of her story as well as some practical ideas on ways to work through the grief. Thank you so much, Martha!! You don’t have to look far to notice that you seem to be surrounded by pregnant women. If you didn’t know you were imagining it, it can almost seem they are taunting you with their good fortune. The worst are the women that complain about pregnancy, moan about how their birth control failed or even the articles about abortion that fill the Internet. While your arms ache to just have those aches and pains, you also struggle with finding peace in the lack, and possibly even anger in the interim. The question of the hour is how to find peace. I don’t claim to know the answer to that. I cannot say that I have discovered that. I have never experienced infertility in the true sense of the word, but I hope that this somehow encourages you anyhow. For me, my life took a drastic turn after my own pregnancies. I realized that my husband would never be mentally able to help me raise our children that we had. This also went for any future children that I had assumed we would have. One of the things that helped me to find peace was the stages of grief. Realizing that it was okay to grieve, even though I did have children was helpful for me. Now for those of you that have no children, it can be extra difficult as it can almost feel like you are giving up to get to the acceptance stage. For each of us, it will look different. In my case, it was between God and I. I found that though, as I walked through these stages, some practical things were very helpful as well. When I released the anger onto the page, it seemed to lose some of its power. It was similar with the depression, the bargaining, and the denial. Acceptance went down easier than the others, but in looking back, you could see the progressive journey. We can often focus on what we need, and forget that others around us have needs we could possibly meet. There are times when it seems to rip your heart out to see a happy mom and baby. But what if you knew that mom was in her own stage of depression and really just needed you to hold the baby? Reaching out to others around you can bring a healing balm when you least expect it. MOPS (Mothers of Preschoolers) were a group that did this for me. I ended up volunteering and was a leader for several years. It was out of my comfort zone, and I refused to talk and stayed in the background for the first two years. But slowly, after healing began to set in, it worked on my heart. I began to see how even though I didn’t believe it could happen, I was seeing the pain in others and not just my own. I have learned so many great lessons from those that are referred to as elderly among us. They have no reason to have a façade often. There are many people that are forgotten, unheard, and sometimes unvisited. Their lessons can give us peace that things can change, and quite rapidly. Sit. Listen to their stories of their own struggles as they lived with their loved ones. Learn how they discovered peace in their lives. The one vast difference that I have noticed is between the ones that depended on the Lord, and those that did not. We can learn how we want to live and how we do not want to live in these visits. To sum this up, before you lose interest. Seek God as you journey through your stages of grieving. Realize that grieving does not mean losing hope. It can be once you find acceptance with Joy, (to quote Mountains of Spices by Hannah Hurnard), you can discover you have the most hope and peace. Martha Artyomenko is a labor and prenatal support doula. You can find her on her blogs or on FB.